Netherton branch tip, former Stour Valley Brickworks site.Dudley Port Tipton. 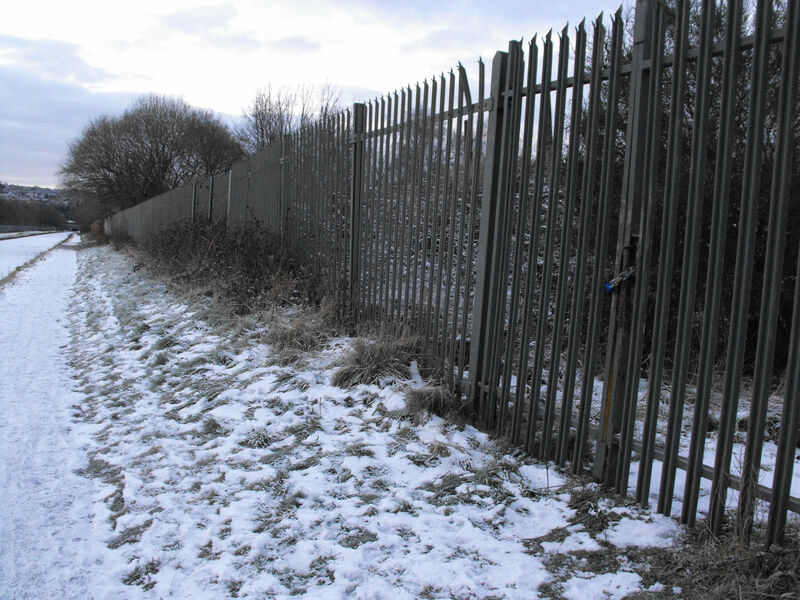 A further unnamed tip is located to the West of the Netherton tunnel branch of the mainline canal, just a hundred yards away from Rattlechain and what is now the Vaughn trading estate, on the other side. 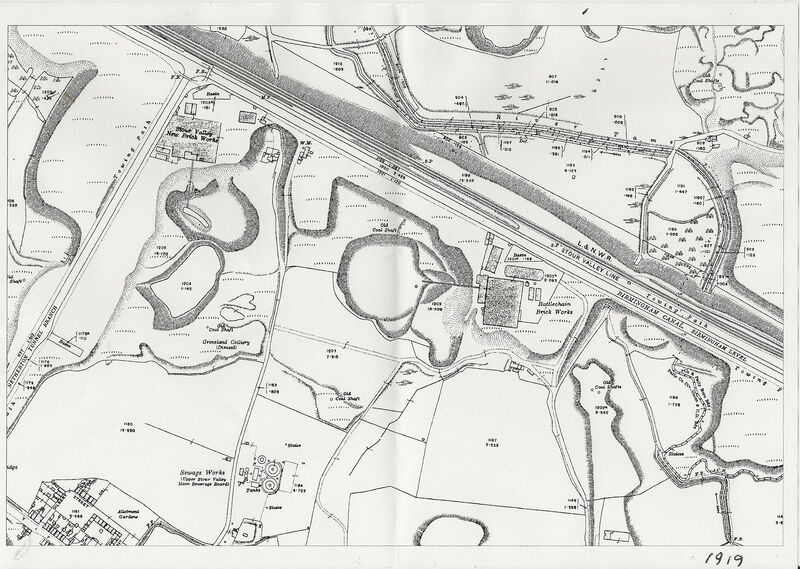 This site appears to have been used by Samuel Barnett for his Stour Valley brickworks, though the area shown in the plan is not the associated claypit for this brickworks, but is located on the other side of the Netherton Branch . It is clear on the maps for 1904 that the works were still active at this point, but in 1919 are no longer shown. 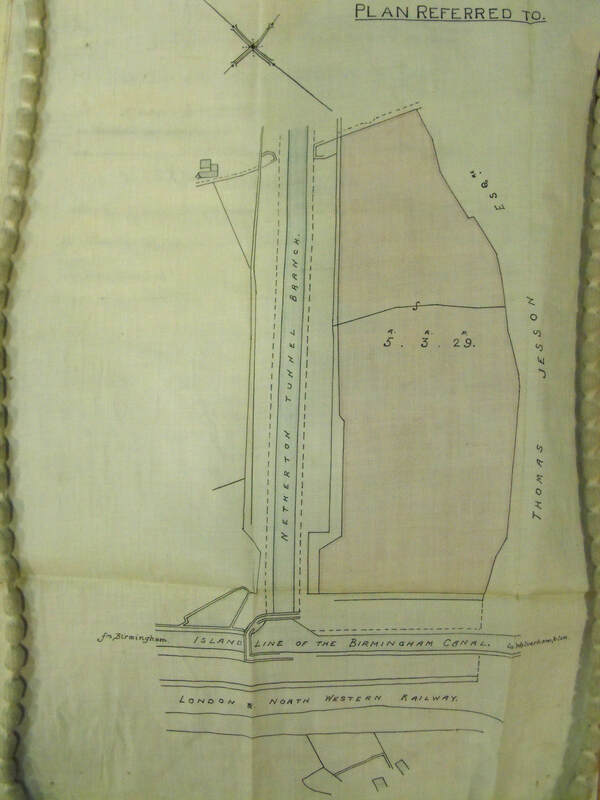 They are also not shown in the 1917 map above, though the basin at the foot of the Birmingham mainline is. It has become clear to us that like rattlechain to follow, this brickmaking enterprise was sold to the chemical company for use as a tip when brickmaking had finished there. A case of ruining the natural land twice with blight, with the brickmaker laughing all the way to the bank. We do not know for how long Albright and Wilson’s blight lasted for, though it should be considered that at this important point in history, they were manufacturing phosphorus for the Ministry of Munitions for use in the trenches in France and beyond. This waste stream together with the known phosgene production makes this site extremely likely to have contained some seriously toxic material. 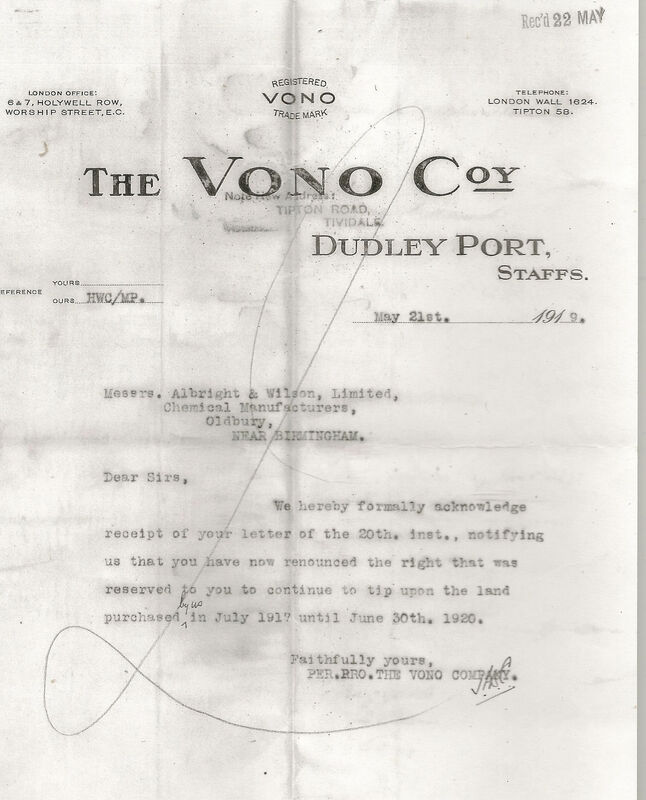 By 1917 it appears that Albright and Wilson had effectively began to wind down their activities at the site and had sold it to the furniture manufacturers Vono, who owned the adjacent land by now. After some legal wrangling Albright and Wilson agree to pay the rates. 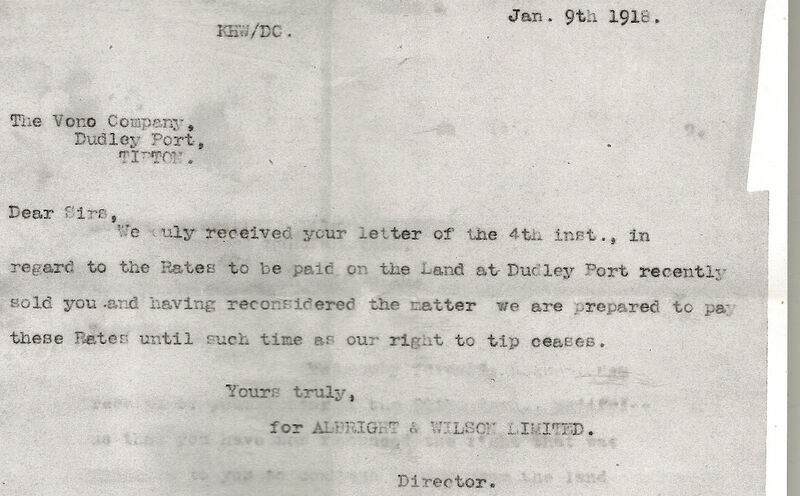 The wording of these letters make us strongly believe that at some point Albright and Wilson also probably used the Stour Valley brickworks pit after 1920 in addition to the site itself, with the later also becoming eventually owned by the Vono company. Rattlechain came on line in 1942, with The Gower tip in 1938, so somewhere there is a 20 year tip that Albright and Wilson must have been using for their filthy land polluting activities elsewhere. 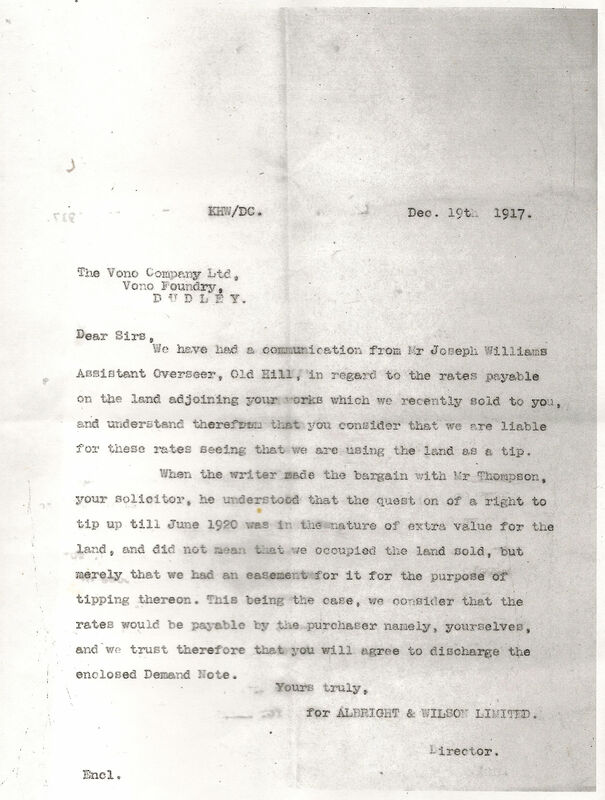 “Use of lands as tips”, apppears to be something of a blackcountry disease. It is unclear what Vono did with what must have been a highly toxic unregulated junk pile. It is obvious that Albright and Wilson needed a new works tip after the war to dump their spoil into, so was all the rubbish from one tip transferred to the new one at Rattlechain? 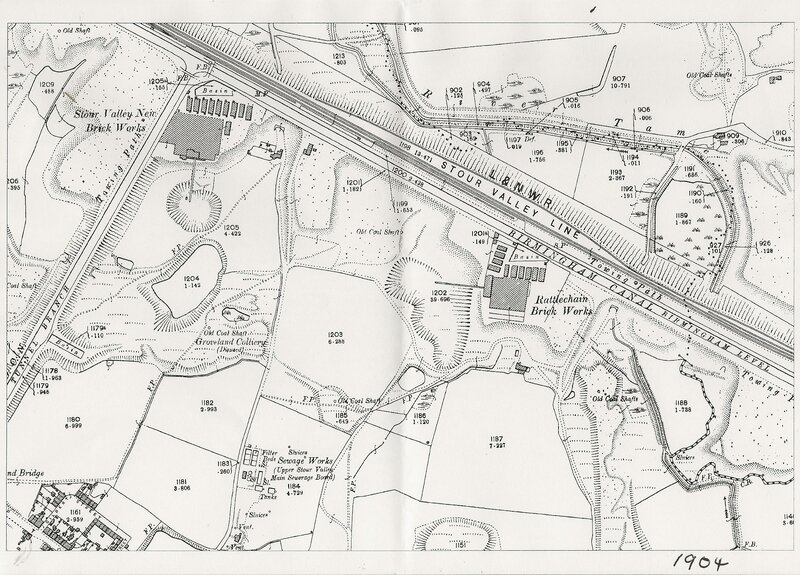 It is unlikely given the lack of records that we will ever know, but given the way in which waste was transported from Langley to the Rattlechain site by canal barge it would not have been difficult to dump it out of sight given the lack of any regulation. After nearly 100 years this site has been largely forgotten as a fenced off remnant.